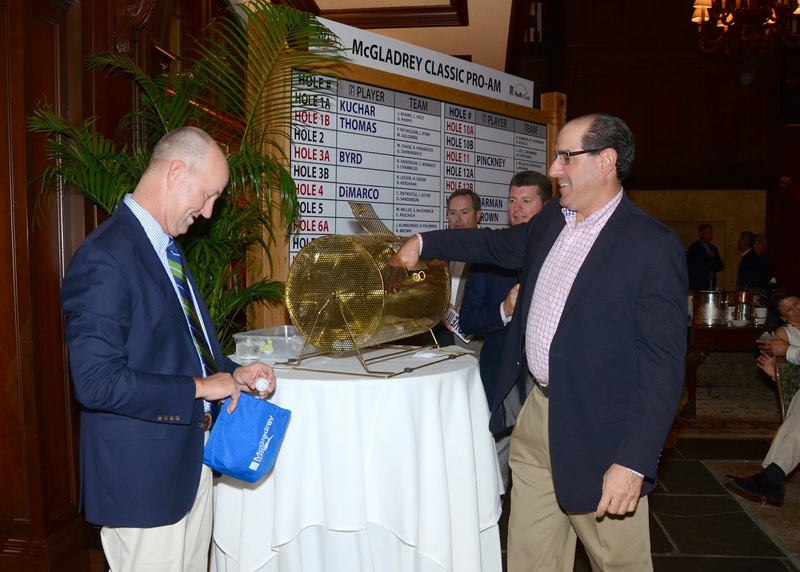 RSM's Golf Blog: The McGladrey Classic Has Arrived at Sea Island! This past weekend a small contingent of McGladrey workers arrived at Sea Island to focus on last-minute preparations for the fifth McGladrey Classic (Oct. 20-26). A lot of work goes into making the tournament a success each year! As part of the official tournament-related activities, McGladrey partners and private equity clients/potential clients gathered at The Lodge Sunday evening for a pro-am pairings party hosted by Team McGladrey Member and Sea Island resident Davis Love III. Today marks the first official day of The McGladrey Classic, with the pro-am on the Seaside Course being followed by an annual favorite: Youth Day at Hole No. 1 on the Plantation Course – the same location where Darius Rucker will entertain crowds this Wednesday evening. There will be many more activities between now and then, though, including this evening’s welcome reception at The Cloister’s Spanish Lounge, where Team McGladrey Zach Johnson will be on-hand to greet guests. We’ll be posting daily updates to this blog throughout the week – including special guests posts by several of McGladrey’s Birdies Fore Love leaders. We hope you’ll check back daily for the“latest and the greatest” about The McGladrey Classic, and that you’ll tune into the Golf Channel Thursday through Friday for live coverage from the event!